Earlier in our reports, we had acknowledged the brilliant mileage which TVS Sport offers for its commuters. Today, TVS Motor Company has launched the all new TVS Sport with more updated features and has also claimed improved mileage of 95 kms per litre (under test conditions specified by Honda). Along with the improved mileage, the all new TVS Sport gets various other attractive features like all-gear electric start, aluminium grab rail, chrome muffler guard and a very stylish and sporty instrument cluster. You can clearly notice there is an increase in the mileage of new TVS Sport, when compared to its predecessor. The reason for enhanced mileage is because of TVS Sport’s DuraLife Engine which gives the benefit of reduced friction and also provides less stress on engine, leading to more efficient fuel consumption. 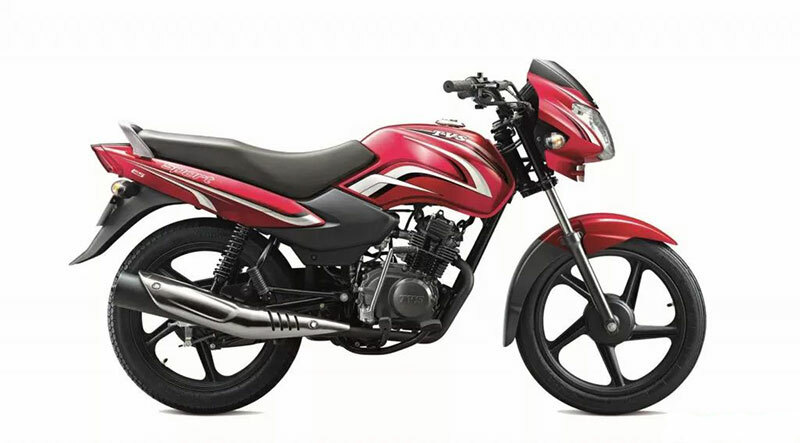 The bike which is powered by 99.7cc one-cylinder engine delivers a moderate 7.5 PS of power and 7.5Nm of torque. All thanks to Chrome Plated Piston rings, Roller Cam follower in the DuraLife Engine which leads to less friction. Today’s consumers are looking for stylish, exciting, new and high quality products which offer good value. In keeping with our promise to deliver products that would delight our customers, we have added new features and have tuned the engine such that it returns better fuel economy. TVS Sport is a well styled, feature rich product which delivers high on both mileage and durability, making it one of the best value-for-money brands in its segment. The base version of the new TVS Sport has been priced at Rs. 36,880/- (Ex-Showroom, New Delhi). Let us know what do you think of all new TVS Sport by commenting below.